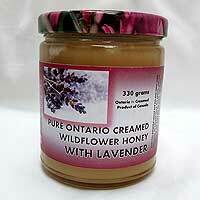 scroll down for a list of categories in 100% Ontario Honeys. As pure as it gets, fabulous on a chacuterie board! From the moment the bees sealed it the honey inside this comb has never been exposed to air. You get an explosion of classic honey flavour and the benefits of beeswax. Absolutely Pure is like “the fine wine of honeys”. 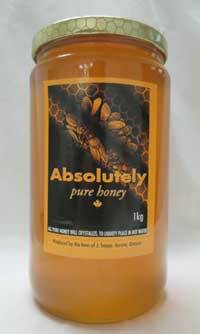 Its thick viscosity indicates a lower moisture content, so it slowly melts in your mouth into honeyed-bliss. The robust flavour and very smooth finish make it a winner! 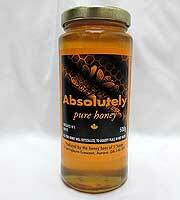 A delightful and full bodied honey. 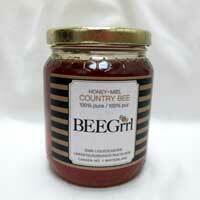 The BEEGrrl hives are kept in a winery in Beamsville, so you definitely get that hint of Niagara Region fruitiness! Sold Out. 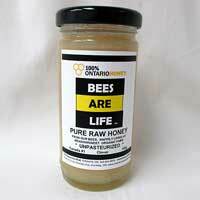 In 2013 Bees Are Life bought 17 beehives from a beekeeper with "ash" in his farm's name, and moved them to the GTA. 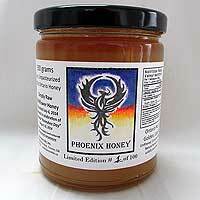 We noted that this honey was never to be had again, hence Phoenix Honey was born. SORRY ... SOLD OUT !!! Travel East on Hwy 401, exit at Toronto Road and travel through the Town of Welcome. These happy beehives are nestled in the Ganaraska Highlands and produce a rich, robust, golden honey with a hint of blueberries. Amber is the colour, Buckwheat is the predominant flavour. 1 kg jar old-fashioned mason jar. A real keeper ... or as Jim Coneybeare himself says "Once you've tried it you'll be stuck on it". "Once you've tried it you'll be stuck on it" is their slogan. 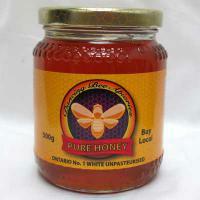 Based in Fergus, Ontario all Coneybeare Honey is Certified Kosher (COR). Light, fragrant and as flavourful as you'd expect a field of wildflowers to be. "Once you've tried it you'll be stuck on it" is their slogan. 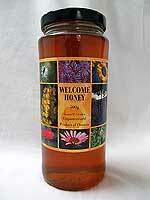 Based in Fergus, Ontario all Coneybeare Honey is Certified Kosher (COR). Light, fragrant & as flavourful as you'd expect a field of wildflowers to be. 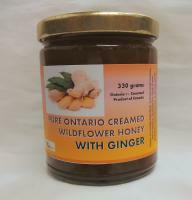 Click on a category in 100% Ontario Honeys to view Products.